Hello! It has been two weeks since our last devlog, and today we're here to talk about the recent changes that happened with Mannequin: updates in the itch.io store page, progress with the ongoing art style updates, and lastly, our venture into Patreon next month. As you might have seen, our store page has undergone a visual overhaul. We've had access to itch.io custom CSS feature since ages ago, but only recently have the opportunity to actually use it. It's quite interesting! We might be able to use it to provide a nice flow between the store page itself, the community page, and Mannequin's official website, which we'll have to develop as the place for the official documentation. An official documentation is, as you might expect, needed for helping people use the custom library feature, which is inching closer every day. Most, if not all, tucked shirts, t-shirts, and polo shirts are done for all standby poses. We'll continue finalizing every clothes for standby poses first, as we think that there are things that can be done to improve poses with arm gestures. The ones available now are simply not natural enough for our taste. We expect that all clothing templates that are being redrawn will be compatible with every standby poses by next week, and all available poses by the week after. After that, we'll finally be able to refocus our efforts into male templates and feature updates. 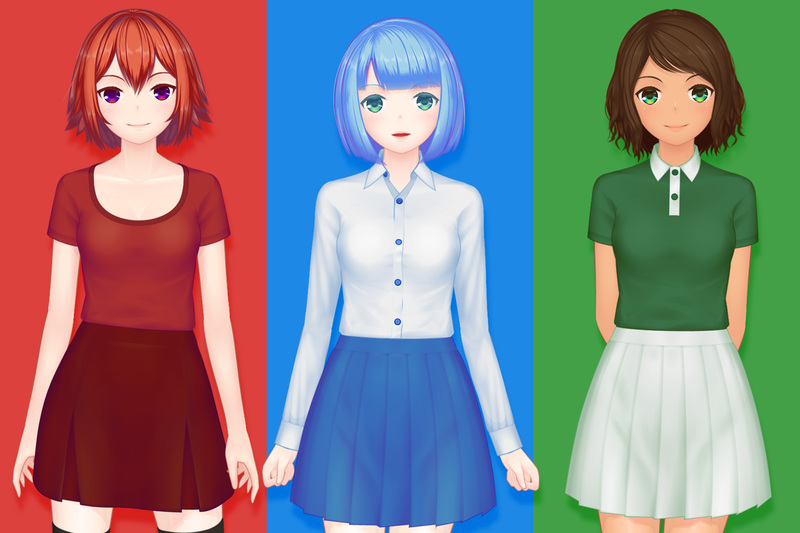 As we're steadily moving closer to the 1.0 release, Mannequin's pricing has gradually increased and will continue to do so until it reaches the projected final pricing of 19.99 USD. This means steeper cost for people who want to support this project. We wanted to give another alternative which is possible due to the integration between itch.io and Patreon. By becoming a patron, people will receive immediate access at a much lower cost. We also plan to give a key to everyone who has pledged for a certain period of time, so that the app can be used freely from that point onward, without the need to continue being a patron. More details regarding this will be available by next month. Guess that's it for today! These past week has been a rollercoaster of emotions, due to itch.io newly implemented tax collection system, and (mainly) Germany's loss in the World Cup. Their play was quite bad, to be honest, and it's quite expected that this will be the result, but oh well. As usual, thank you very much for your continued interest and support. Hopefully we'll be able to continuously improve our productivity every day, so Mannequin's updates can be released faster and faster. Don't forget that you can also follow our Twitter account for more bite-sized updates. See you next time! I Just purchased. Will there be more body types and such? Yes, we also planned for more body types. I love the program! Great job and looking forward to more future content! Thank you very much, very happy to hear that!